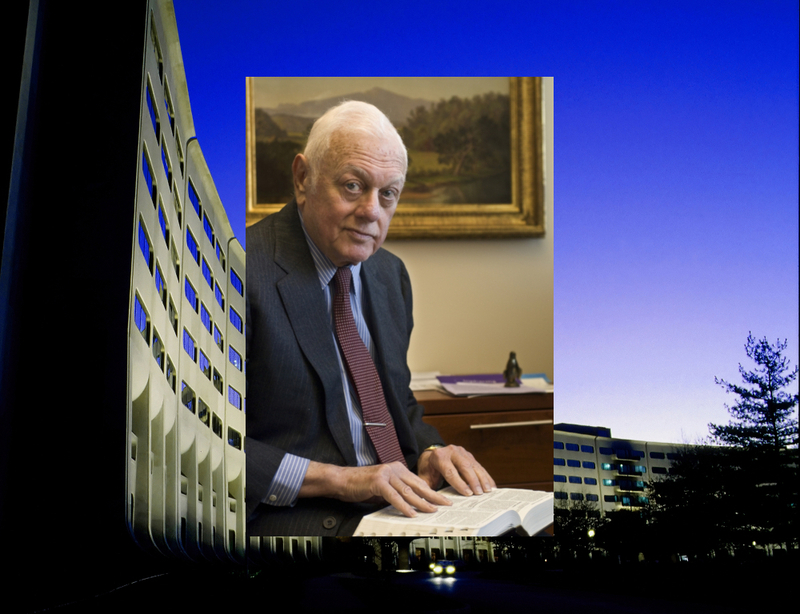 Dr. Elliot Vesell, founding chair of the Department of Pharmacology at Penn State Health Milton S. Hershey Medical Center and assistant dean of graduate studies at Penn State College of Medicine, passed away on July 23. Vesell remained in his role as chair of pharmacology for 32 years and was the assistant dean of graduate studies for more than 22 years. Vesell was named an Evan Pugh Professor, Penn State&apos;s highest honor, and later a professor emeritus. He retired from the College of Medicine in 2008. Vesell was nationally and internationally recognized by the scientific community. His research in human twin studies led to the publication of seminal papers about the genetic factors of variable drug response from person to person. This work was critical in establishing the scientific field of pharmacogenetics and pharmacogenomics. It was Vesell&apos;s research, in part, that laid the foundation for personalized medicine. His work is immortalized on the walls of Penn State Institute for Personalized Medicine, where a DNA sequence for a gene that was instrumental in his early pharmacogenetics research is diagrammed. Vesell published nearly 350 scientific papers, edited several books and received numerous awards throughout his career, including four major national awards in clinical pharmacology. In addition to his contributions to science, he devoted his life to helping others. Vesell was preceded in death by his wife, Kristen, and leaves behind two daughters, Liane and Hilary. A funeral service is planned for this Saturday, July 28 at the Hoover Funeral Home in Hershey. Visitation is at 1 p.m. with a nondenominational service to follow at 1:30 p.m. Vesell&apos;s family would like to offer his colleagues the opportunity to share any stories about him during the service. Memorial contributions in Vesell&apos;s honor can be made to the College of Medicine, or a check can be made out to “Penn State” with “In Memory of Dr. Vesell” in the memo. Mail it to Development & Alumni Relations, MC HS20, P.O. Box 852, Hershey, PA 17033-0852.